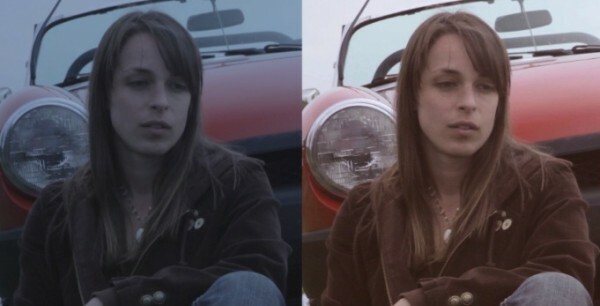 During a recent production where we were shooting outdoors on a cloudy day, I decided to push the limits of the new Technicolor CineStyle preset for the Canon 5D MkII. Instead of white balancing to 5600K or higher, I set my white balance at 3200K which resulted in a very blue image. Usually this would be unusable if not very difficult to color correct in post. But as you can see, I was able to get some really great results using CineStyle. Did you use the LUT provided by Technicolor? Looking forward for more information !!! Also if you can compare to neo cineform color grading, it would be grade. I know this is only a test, but going from “too blue” to “too orange” wouldn’t cut it, in my opinion. But I get your point: shooting with Cinestyle does give you a lot more range in correcting what would have been a failed shoot.